We left the Norfolk Hotel early that morning and traveled outside of Nairobi to the edge of the Rift Valley. These Cape Buffalo lingered near Lake Naivasha as Oxpeckers feasted off their hides. 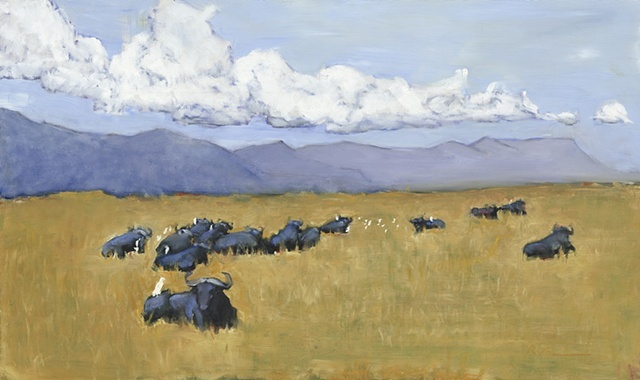 The light, dry yellow grass contrasts with the heavy blue shapes of the buffalo to create a good sense of their weight and mass. Their famous ill-tempered dispositions were enough to keep us at a distance.